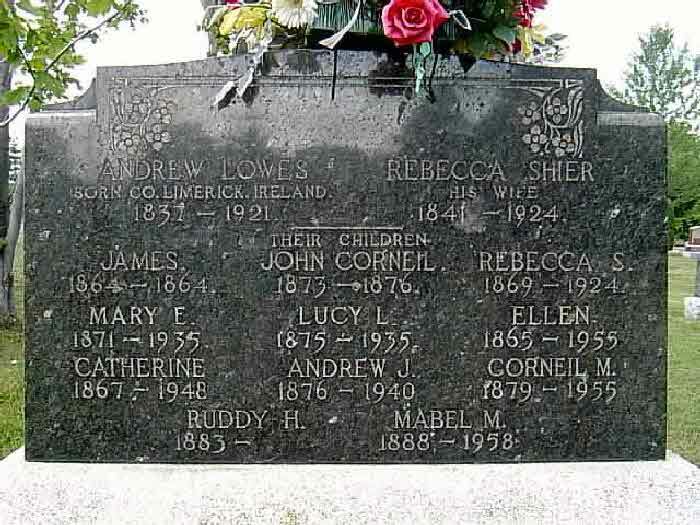 Burial* James Lowes was buried in Cedar Vale Cemetery, Brock Twp., Cannington, Ontario County, Ontario, Canada. 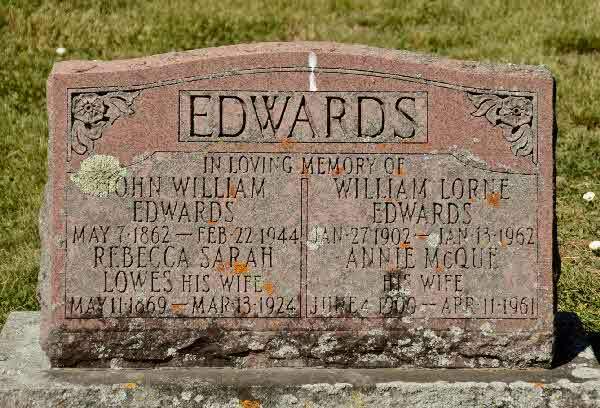 Burial* He was buried on 19 January 1916 in Emily Cemetery, Emily Twp., Victoria County, Ontario, Canada. [S54] Unknown author, "The Charles Keeler Family by Alan Campbell," e-mail message from \ (unknown address) to unknown recipient. 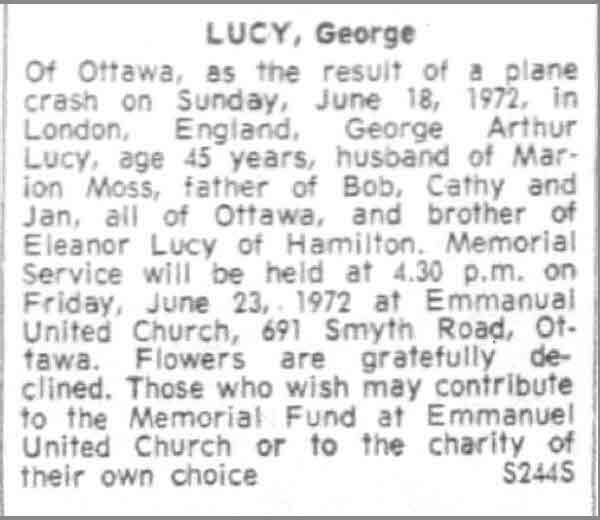 Death* George Arthur Lucy died on 18 June 1972 in London, England, at age 45. 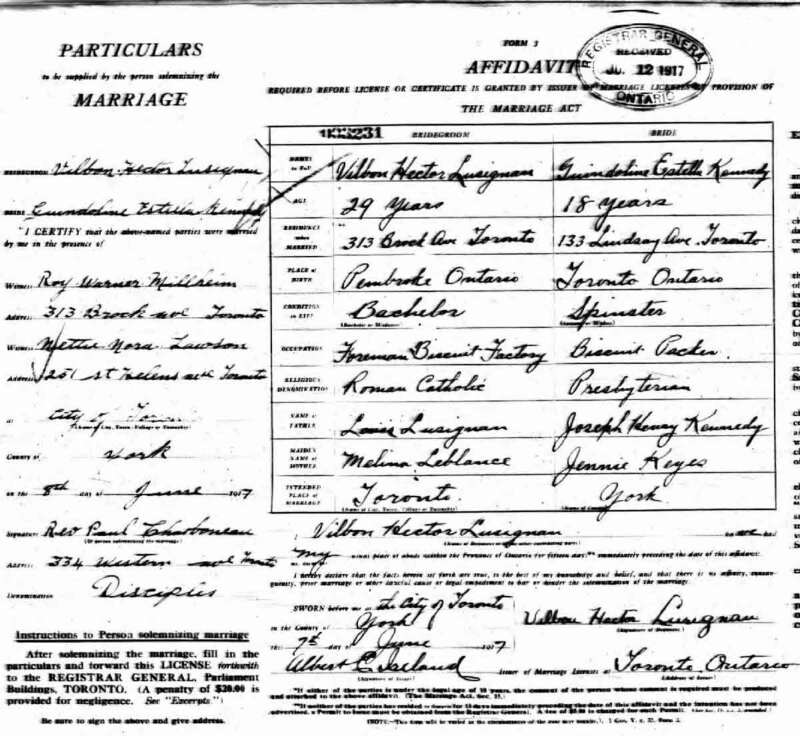 Marriage* He married Edith Warren, daughter of James Borlase Warren and Jeanie (Jean) Cameron, on 20 December 1915 in Toronto, York County, Ontario, Canada. 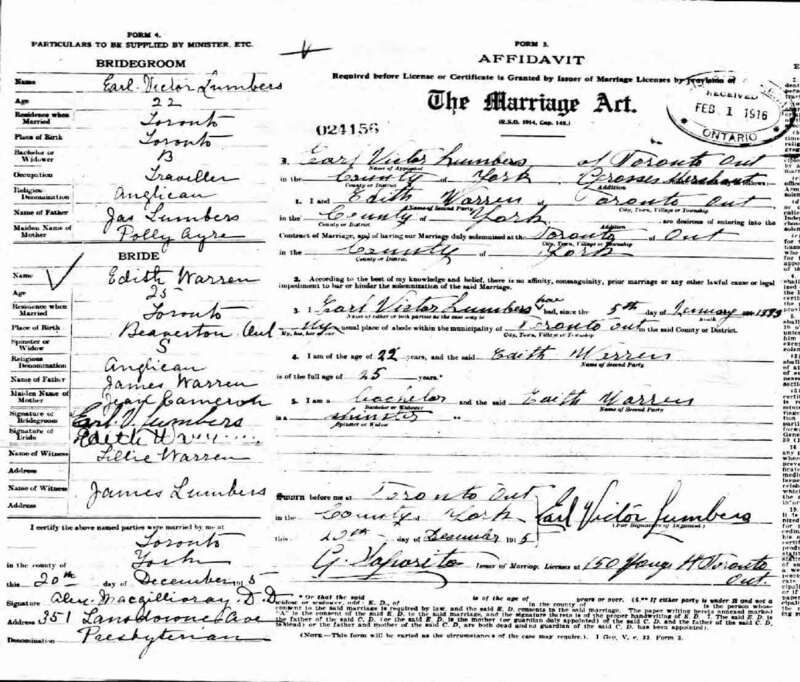 Marriage* He married Gwendolyn Estella Kennedy, daughter of Joseph Henry Kennedy and Jennie A. Keys, on 5 June 1917 in Toronto, York County, Ontario, Canada. Death* Anne Madge Luther died on 13 July 2012 in Brampton, Peel County, Ontario, Canada, at age 80; Anne Moir ~ at Specialty Care Woodhall Park, Brampton, on Friday, July 13, 2012, Mrs. Anne Madge (Luther) Moir Johnson, formerly of Gorrie and Listowel, in her 81st year. was married to Gordon Moir in 1952. They were blessed with three children, David and Linda Moir of Mississauga, Paul and Sheri Moir of Mansfield, and Lori and Rev. Warren Ball of Thornhill. She was the grandmother of Chandelle Quesnelle and her husband Jeremy, Krista Moir, James and David Moir, and Alexa and Andrew Ball. 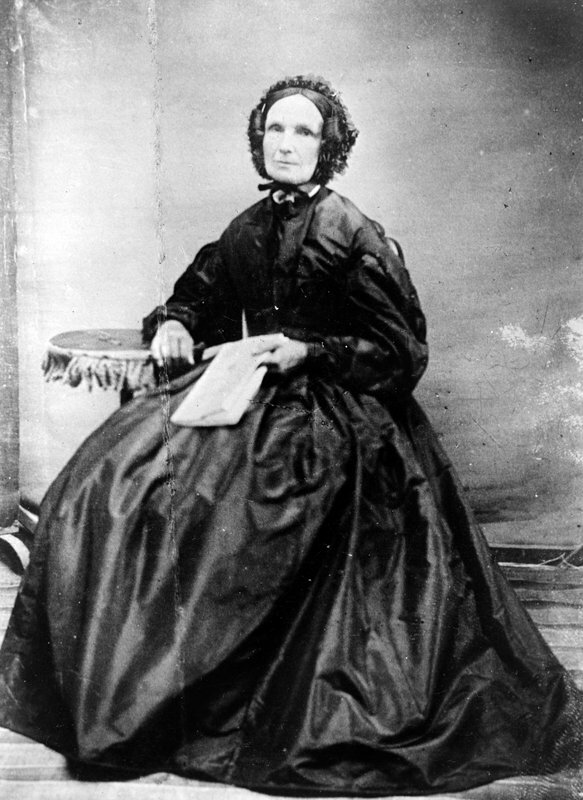 by her first husband Gordon Moir, her second husband Carroll Johnson, and by her parents Milton and Madge (Doupe) Luther. and Gordon operated the Moir Funeral Home and Furniture Store in Gorrie from the 1950s until 1975. 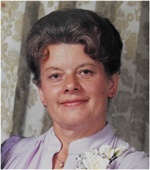 She was an avid gardener and loved to play the piano and sing with various groups. Her love of music was passed on to her children and grandchildren. funeral service will be held at the Eaton Funeral Home, Listowel, on Tuesday, July 17th at 11:00 a.m., with visitation one hour prior. Reverend Warren Ball officiating. Burial* She was buried in Whitevale Cemetery, Pickering Twp., Ontario County, Ontario, Canada. 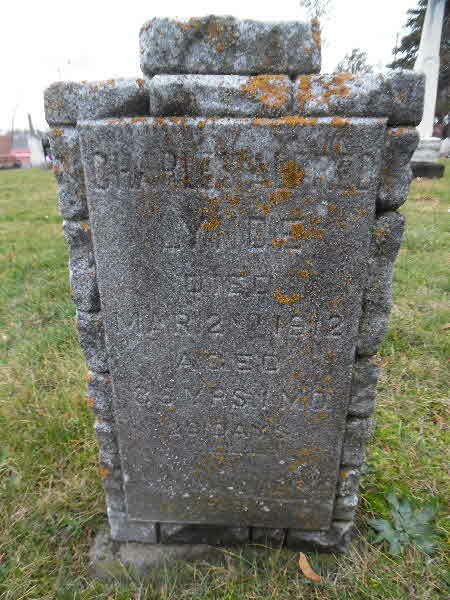 Death* He died on 2 March 1912 at age 86; Chas. Lynde Dies: Whitby lost one of its oldest and best known residents on Saturday in the death of Mr. Charles Lynde, at his farm, Mount Pleasant. M r. Lynde was in his 86th year, and had been ailing for sometime, and his death was not wholly unexpected. 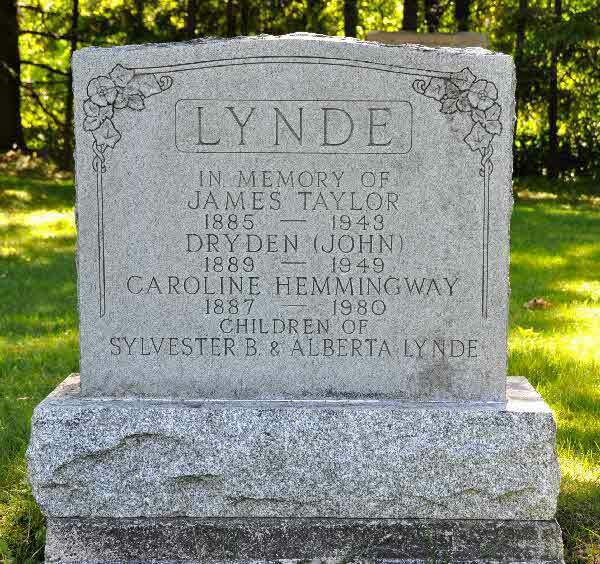 Mr. Lynde's father, the late Sylvester Lynde, who died in 1883, was the first white child born in Ontario county, the date being 1800. The great-grandfather and grandfather of Mr. Lynde settled in what is now Whitby in the year 1880, coming to Canada together from New York State. Mr. Sylvester Lynde during the American War, when 19 years of age, carried dispatches on horseback through the forest from Pickering to Bowmanville. When his grandfather, Jabez Lynde, was a young man, the surrounding county was covered with virgin forests, and he one day jokingly made an agreement with Nicholas Jeffrey, his neighbour, whereby the Lynde family were to be allowed access to wood by the Jeffrey family as long as grass grew and water ran. The unlooked for growth of Whitby and the disappearance of the forest lands caused this agreement to since become void. 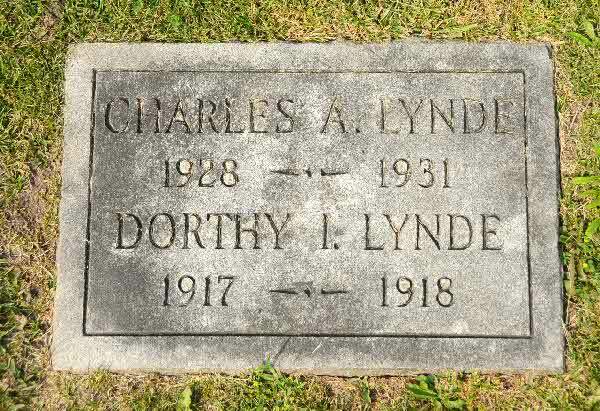 Mr. Lynde , who was perhaps better known as "Charlie Lynde", was famouns as a breeder of throughbred race horses. The old Whitby race course was situated on his farm, and where he in the seventies, won the Queen's Plate with his horse, Jock Bell, bred by Nelson Gates. One of the greatest horses which he raised was Bell Tau, a grandaughter of Longfellow, which sold for $9,000. This horse was a notable winner in the eighties, and was the favourite the year she was entered for the Brooklyn Handicap. Unfortunately however, the horse met with an accident while training for the greater event and broke its neck. Mr.Lynde was a life-long Liberal and a member of the Presbyterian church. The deceased leaves a family of seven sons and three daughters. 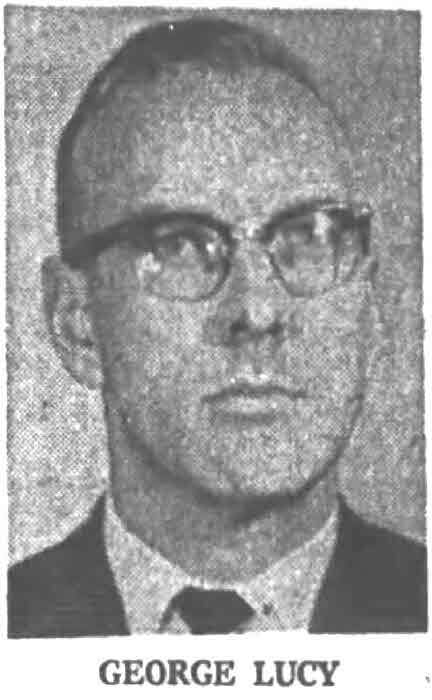 Three brothers are now living - Messers S. B. Lynde, 19 Sparkhall Ave., Toronto; R. J. Lynde, Toronto Junction, and Fred W. Lynde, Whitby. The funeral took place on Monday afternoon to Union Cemetery. Rev. Mr. Haig, pastor of tne Brooklin and Columbus Presbyterian churches, conducted the funeral service. Burial* He was buried in Oshawa Union Cemetery, Ontario County, Ontario, Canada. Burial* He was buried in Groveside Cemetery, Brooklin, Ontario County, Ontario, Canada. Burial* She was buried in Groveside Cemetery, Brooklin, Ontario County, Ontario, Canada. Burial* He was buried in Whitevale Cemetery, Pickering Twp., Ontario County, Ontario, Canada.